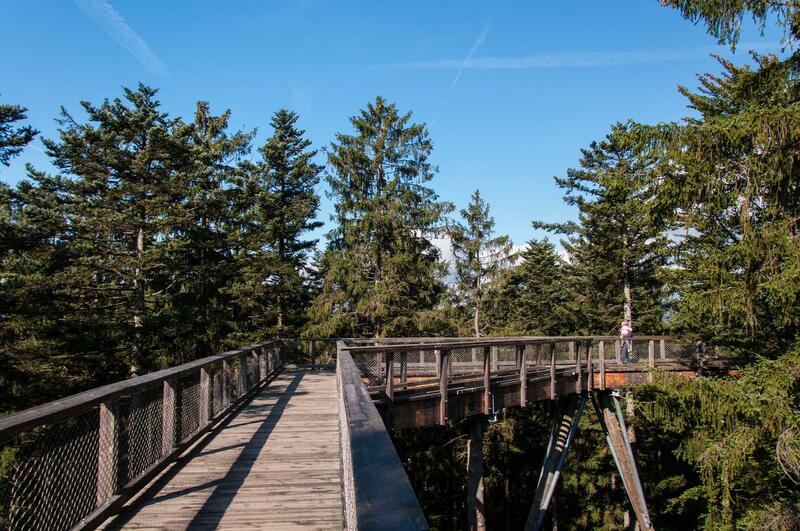 Walk in the height of 8-25 m above the ground, forest and untouched nature and enjoy the unique perspective . 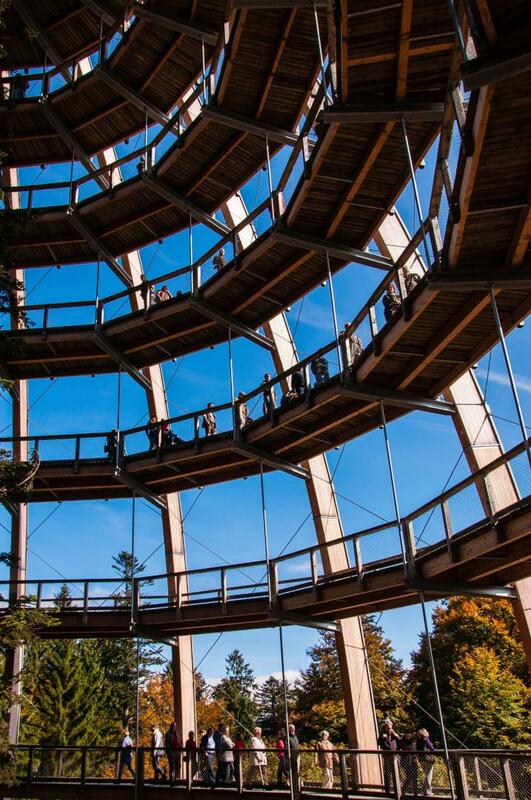 With its total length of 1,300 m the Trail in the Tree-Tops in the Bavarian National Park is one of the longest trails in the world. Some adventure stops are prepared for visitors who love adventure. You can try rope elements, swaying walkways, trapezes or beams. 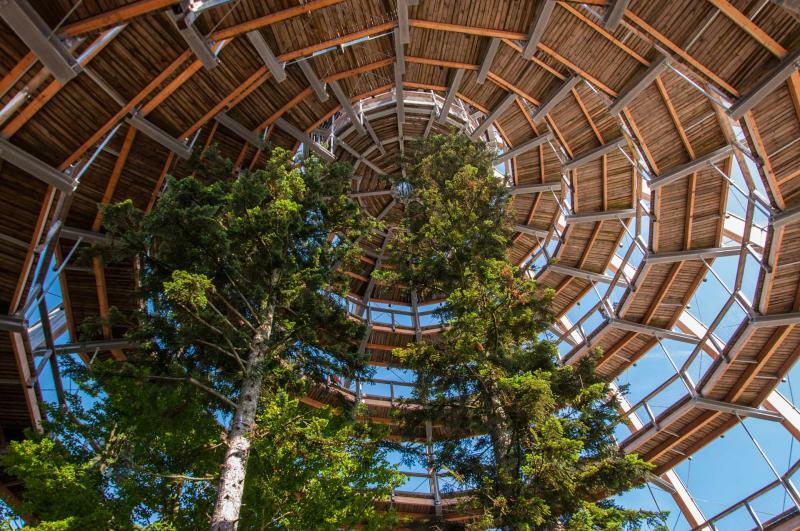 Enjoy the endless wildness in the National Park of Bavarian Forest from a completely new perspective.